A paranormal rollercoaster ride with goosebumps at every turn--now a motion picture starring Uma Thurman and Anna Sophia Robb! Kit Gordy sees Blackwood Hall towering over black iron gates, and she can't help thinking, This place is evil. The imposing mansion sends a shiver of fear through her. 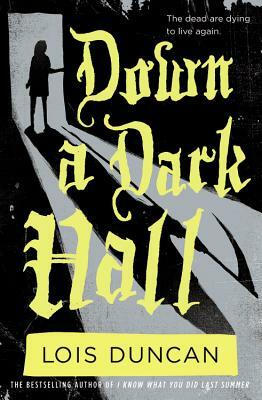 But Kit settles into a routine, trying to ignore the rumors that the highly exclusive boarding school is haunted. Then her classmates begin to show extraordinary and unknown talents. The strange dreams, the voices, the lost letters to family and friends, all become overshadowed by the magic around them. When Kit and her friends realize that Blackwood isn't what it claims to be, it might be too late. Lois Duncan is an acclaimed suspense author for young adults. She has published nearly 50 books for children, including I Know What You Did Last Summer, which was adapted into a highly-successful horror film, and Who Killed My Daughter?, a non-fiction book about the harrowing experience of her daughter's murder.